Last week, we took a glance at former Cardinals tearing up the gridiron in the National Football League. Our series of Cards in the Pros continues with a look at the NBA. Professional basketball is in full-swing, recently hitting the half-way point of the season. Out of 30 teams in the league, seven feature former Louisville men’s basketball stars on their active roster or G-league affiliate. Two of these players are currently thriving in the Western Conference: Donovan Mitchell and Montrezl Harrell. Mitchell, a Cardinal from 2015 to 2017, is playing his sophomore season with the Utah Jazz. He burst onto the scene his first year by finishing on the All-Rookie first team, winning the All-Star weekend Dunk Contest and leading the Jazz to a playoff berth. This season, the Jazz are in the playoff hunt once again with a 8-2 record since the turn of 2019. Despite a bit of a slow start, Mitchell now looks like he’s picking up where he left off in 2018. He recently earned Western Conference Player of the Week following a string of 30-plus point games. Mitchell is on pace to score more points and record more steals than he did as a rookie. With the Jazz surging forward the second half of the season, it will be interesting to see if they make the playoffs back-to-back years. Harrell, a Cardinal from 2012 to 2015, has found a niche with the Los Angeles Clippers during his fourth season in the league. Through the course of his career, Harrell has mostly been used an energy player off the bench. This season has proved a different story. The Clippers have an intriguing mesh of talent with no clear star on the roster, relying on a myriad of role players like Harrell. The center is slowly emerging as a star with a career year so far throughout the current season. 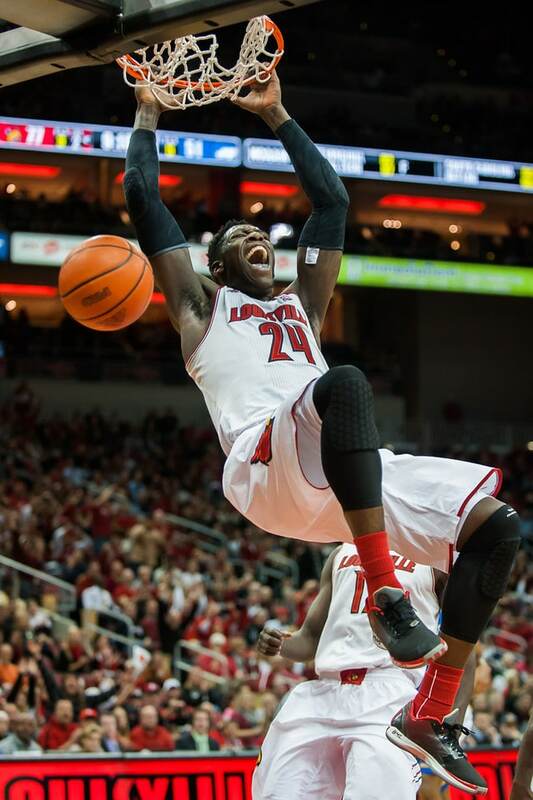 Harrell has already recorded a season-high in rebounds and will most likely exceed his season-high in points too. Along with statistics reflecting his impact on the court, Harrell’s energy and hustle has made him a fan favorite. The Clippers have become a surprise team in their conference and remain in the playoff hunt. Another former Cardinal, Gorgui Dieng, has remained a steady constant for the Minnesota Timberwolves. He transitioned from a starring role on Louisville’s 2013 National Championship team to a reliable player in the NBA. Dieng currently averages 5.5 points and 4.1 rebounds per game. Damion Lee and Ray Spalding are the final two former Cardinals in the Western Conference. Lee plays with the Golden State Warriors and Spalding with the Dallas Mavericks. Deng Adel, who left for the NBA the same year as Spalding, recently got his shot with the Cleveland Cavaliers. One other former Cardinal, quickly becoming a star for the Boston Celtics, plays in the Eastern Conference with Adel: Terry Rozier. Scary Terry, a Louisville student athlete from 2013 to 2015, plays point guard for the Celtics alongside talents like Kyrie Irving. Rozier currently averages eight points, four rebounds and two assists per game with his lightning-quick style of play. With Irving injured during the playoffs last year, Terry helped lead Boston to the Eastern Conference finals. The Celtics are currently fifth place in the regular season standings. Our series of Cards in the Pros continues next week with a breakdown of Major League Baseball.